For the past 12 years, Negrense food enthusiasts have gathered together at the Balay Negrense Museum every 5th of November to share a gustatory experience in line with our observance of the Cinco de Noviembre Celebration in Silay City . The Adobo Festival which features an Adobo Cooking Competition has been a testimony of our mark as Filipinos – adobo being a dish prepared by our ancestors long before the Chinese traders came to the Philippines and the Spaniards colonized us. Now on our 13th year, the Negros Cultural Foundation once again brings together culinary experts, cooking aficionados and budding chefs to challenge to come up with new tastes for this tried and tested Filipino dish. To add to the excitement, we also celebrate the 5th year of the Muscovado cooking competition which has produced a rich harvest of recipes using muscovado sugar as main ingredient. The Adobo Festival also features Gourmet Adobo demo by local chefs and Negrense restaurateurs, food booths, and Negrense artists’ KITCHEN ART EXHIBIT featuring artworks priced from P5 to P5,000.00. You can also enjoy the ADOBO LUNCH which will be served from 11AM to 1PM only. Tickets at P200.00 per person (consumable) are available at the Negros Museum starting November 3 and in Balay Negrense during the event. 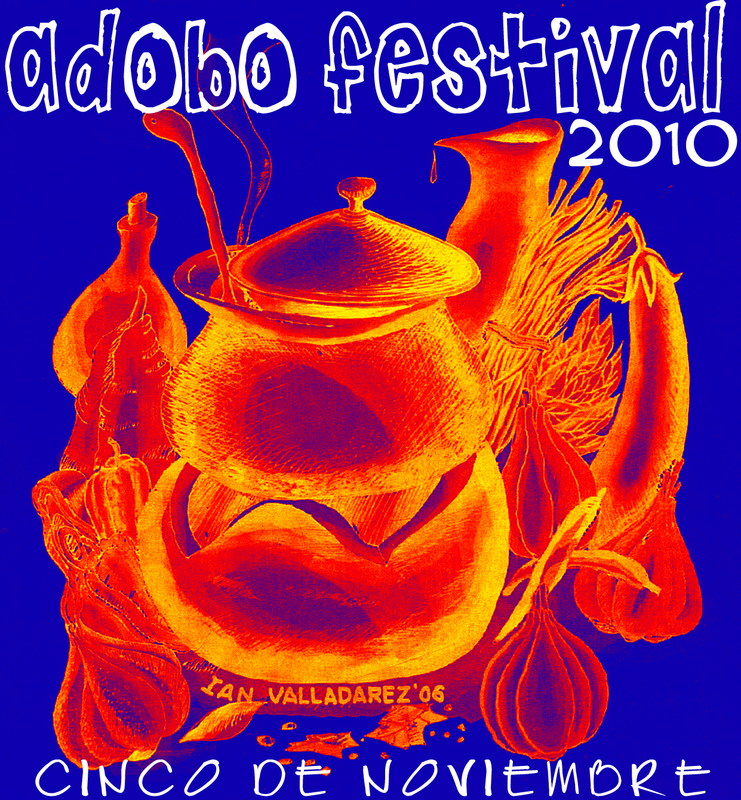 We hope you can be a part of this year’s adobo festival and bring your family and friends with you. Please feel free to email us at negros_museum96@yahoo.com or call 09173007742 or 4334764. Thank you very much! 1. Registration is from October 1 – 30, 2010. 3. 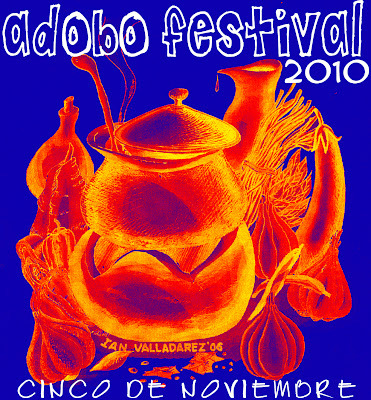 Recipe for the Adobo entry shall be submitted together with the registration form and P100.00 registration fee/recipe. 4. The pre-finals will be held on November 4, 2010 at 4:00pm in Balay Negrense, Silay City. Contestants will bring their cooked adobo and necessary props for the presentation. Balay Negrense. Cooking will start at 9:00 am and will be judged after. Participants are to bring their own ingredients, cooking utensils & stove. 6. Entries must be original or an interpretation of a tried and true recipe. 7. Basic ingredients must include vinegar and garlic. 8. The following will not be accepted as ingredients: dog, cat, carabao, turtles, eagles, spotted dear, ocean mammals, or any endangered plant or animal. 9. Measurements for the ingredients should be in metric system. 10. Recipes should indicate the number of servings. 12. The recipes will be tried the judged by a panel. Judges’ decision is final. 13. The contestant with the highest score will be declared the winner. 14. All on the plate must be edible. 15. Cash prizes, gift packs and certificates will be given to the 1st, 2nd and 3rd place winners. 16. All muscovado entries shall be the property of the Negros Cultural Foundation. Chosen recipes will be included in the Adobo & Muscovado Recipe Book, to be published after the competition. 3. Recipe for the Muscovado entry shall be submitted together with the registration form and P100.00 registration fee/recipe. 10:00 am at Balay Negrense to be judged for the competition. 5. Entries must be original or an interpretation of a tried and true recipe. 6. Basic ingredients must include muscovado. 8. Recipes should indicate the number of servings. 10. The recipes will be tried and judged by a panel. Judges’ decision is final. 11. The contestant with the highest score will be declared the winner. 13. Cash prizes, gift packs and certificates will be given to the 1st, 2nd and 3rd place winners. 14. All muscovado entries shall be the property of the Negros Cultural Foundation. Chosen recipes will be included in the Adobo & Muscovado Recipe Book, to be published after the competition. looking forward to see my friends on this occasion! I bet every year should be a new experience for all of us.